El Lissitzky, (1890 – 1941) was a Russian designer, architect and photographer who worked closely with Kazimir Malevich and is considered to have been an important member of the former Soviet Union’s avant-garde. 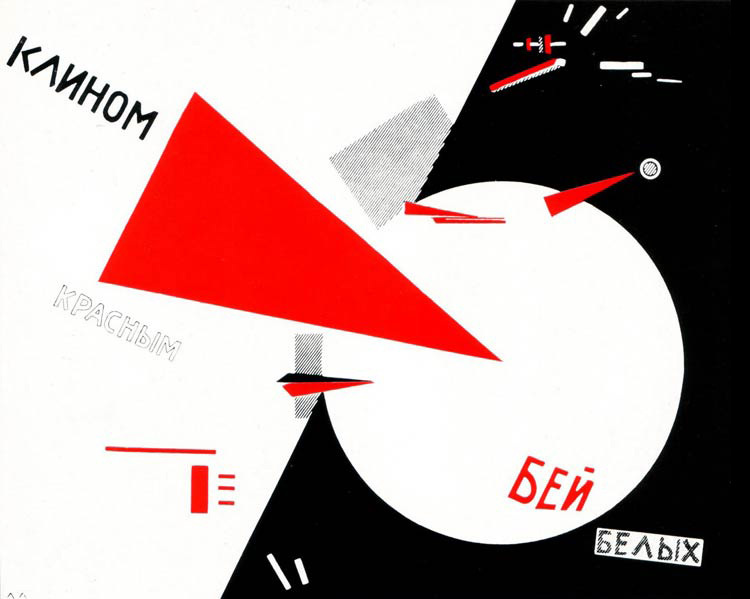 Lissitzky’s experiments with graphic design techniques and photography have continued to influence graphic artists to today. In my post of Oct 5 (First painting with Text?) I proposed that Picasso’s Still Life with Chair Caning was possibly the first western painting containing text as an intricate part of the art work. 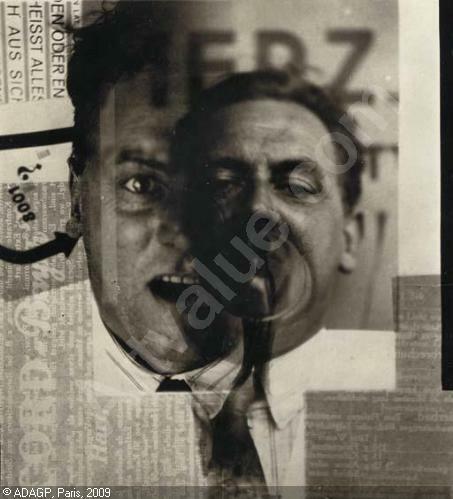 El Lissitzky was not western and was a graphic artist, yet he did incorporate text into his work; so I have included him in my explorations of Text in Art. The examples of Lissitzky’s work below come from a later period than Picasso’s ..Chair Caning of 1912.
so true, although lissitsky made previous images as an artist (not strictly ‘graphic artist’, as you separate him), perhaps unavailable online. as well, he was quickly roped into text as propaganda and his art turned (by his new soviet masters) to that end. i would argue that russia of the turn of the century was, in fact, western. Only once the USSR absorbed eastern SSRs could one question the geography of Lissitsky’s work.